It has come to our attention that Millie might not have the best luck with travel. Don’t get me wrong, she’s got a great attitude, and since she’s only two and a half, she’s blissfully unaware of her bad travel luck, but nonetheless, this just might be a thing. 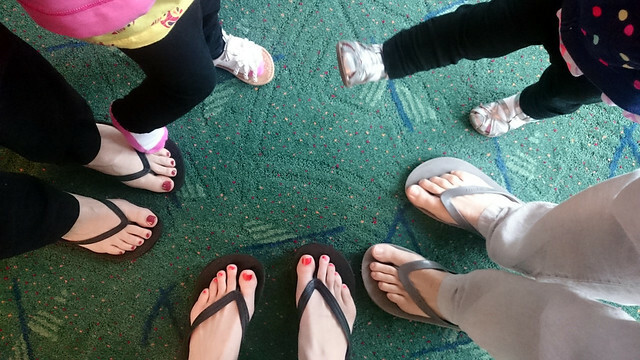 There’s been little things like losing a shoe at the Portland Airport before the obligatory feet-on-carpet photos. But also big things, like the following two examples where she could have been denied boarding planes on two separate occasion. Millie almost got left in Amsterdam in 2015. Okay, obviously we weren’t going to leave her there. I, being her mom and all, would have hung back too. This was through no fault of her own and let the record state, it was through no fault of mine either. 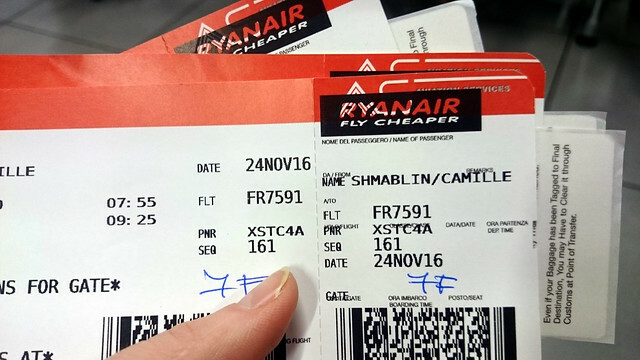 The airline screwed up and didn’t have a record of a ticket for her return flight. 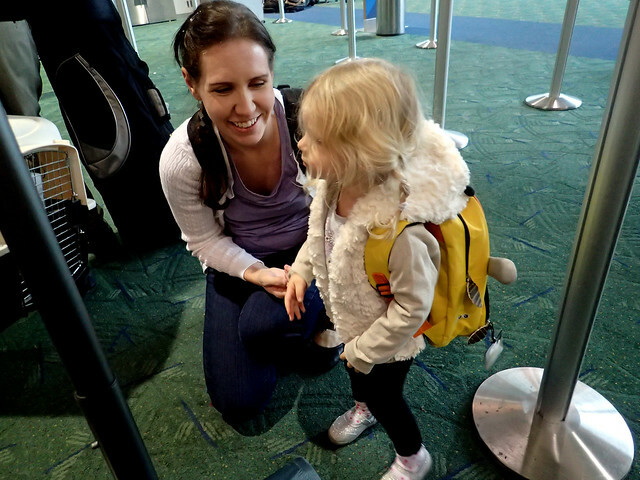 While I may not be the most organized traveler, I am fully aware that lap infant or not she needed to have passport, shell out money for taxes and fees and have a freakin’ ticket. When I pulled up my booking confirmation that did indeed include her, suddenly everyone was scrambling around, making frantic phone calls and doing everything they could to get us on that plane. It was weird to listen to all these frenzied Dutch conversations sprinkled with panicked mentions of her name. Eventually we boarded the plane. Dead last. I work so hard to not be those frazzled parents that hold up planes but there we were, sprinting down the aisle while everyone else was ready for take off. “It’s not my fault!” I wanted to shout. But I didn’t want everyone thinking it was poor Millie’s fault either so I smiled, sat down and kept my mouth shut. This one has a bit of back story that centers around an $11 flight from Rome to Malta was a headache from the get go. Good little travelers or not, we have a ways to go before my girls sit solo. Then, when I went to print the boarding passes ahead of time (because if you don’t, they cost $45 EACH!) I realized the error was rearing its ugly face again. I couldn’t choose their birth year from the drop down menu since they were still classified as teens but were actually born in 2014. I hoped to fix the problem with their computer-disguised-as-a-customer service agent and was fairly certain I had. Twice more I contacted customer service but our situation just escalated in complexity. As intelligent as artificial intelligence is, at the end of the day, it’s just not a person and I could not for the life of me get the computer-customer service to get it right. First they were teens – but they’re only two and a half. Then they were lap infants despite the argument I had with the computer-customer service agent about the fact that they’re too old for that. And then finally and inexplicably, they were listed as adults who would be holding infants themselves. 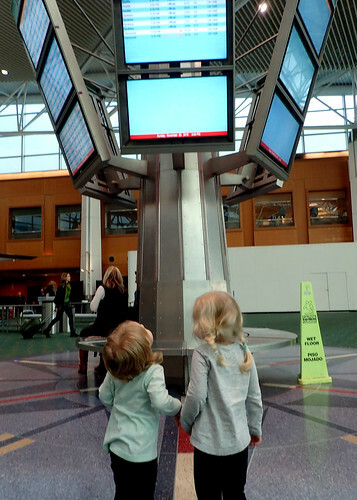 Then we left on our trip and I prayed we’d be able to sort the whole mess out there, without having to shell out $45 per boarding pass… especially since at this point our family of four would be holding like eight separate boarding passes. 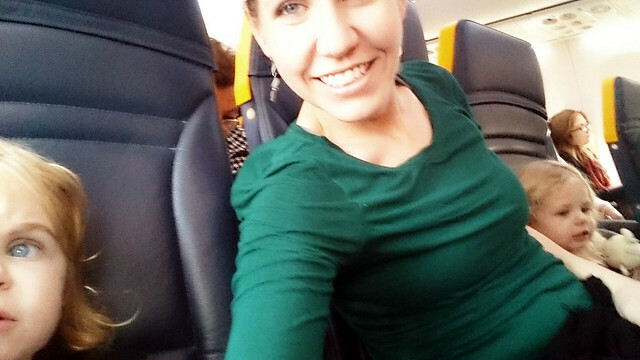 After our few days in Rome, we arrived at the Ciampino Airport plenty early and I put on my nicest, most apologetic face and hoped for a check-in agent who spoke some English and had a soft spot for cute kids, or at least a shared frustration of computers who are trying to be humans. Do you solemnly swear to be charming for the next few minutes? Just kidding, this picture is actually from days earlier at PDX. In the end, after thoroughly confusing the hell out of the desk agent, she finally just counted the number of people in our party, printed off new boarding passes for the lot of us (free of charge!) and sent us on our way, shaking her head as we left. We thought we were free and clear until I saw it. Her last name is spelled wrong! People have been denied boarding for lesser things than typos and after all the hoopla, I literally had no proof of a plane ticket being purchased in any other name. We were in Italy, a country not exactly known for being organized or strict. We were flying out of Ciampino, a regional airport, not the larger Fiumicino, where perhaps more emphasis might have been placed on attention to detail. It was RyanAir. Nuf said. We decided to risk ignoring it, but did so strategically, putting Millie’s boarding pass and passport on the very bottom of our pile. We all share the same last name and the misspelling was just close enough to the real thing that someone might not notice, particularly if I timed my distracting twin bombshell just right. It goes a little something like this and massive bewilderment and confusion always ensues. 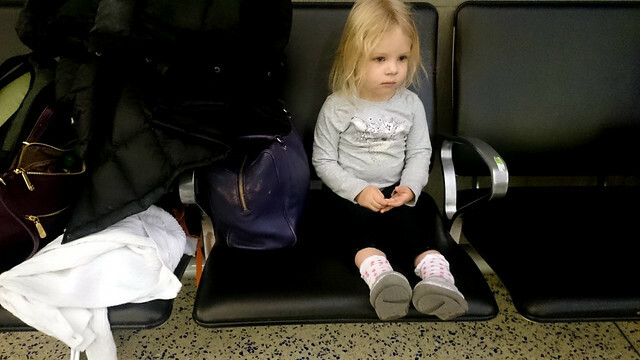 My sweet twins at the airport, looking absolutely nothing alike. Our plan worked perfectly and we scooted right through. Of course, once on board, I had to repeat the twin conversation because no one believed Paige was old enough to sit by herself. Perhaps I should have let her keep her infant seat after all, we might have just saved ourselves eleven bucks and I’m not fully convinced anyone would have looked close enough at her passport to note her exact age. So there you have it, poor little Millie’s poor travel luck. Our next trip is going to be to Dubai this spring. Like always, I’m not planning on over-organizing anything but perhaps I do need to spend a few extra minutes looking over Millie’s documents. Poor kid. 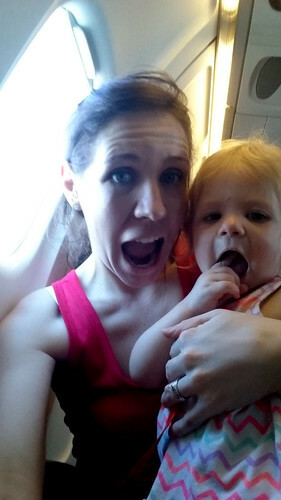 Millie, on her very first flight, blissfully unaware of the travel pitfalls that lie ahead. Great stories. Love it! Year’s ago flying home from Puerto Vallarta with a big family group, we had Uncle and 4 year old Nephew who had the same first and last names. 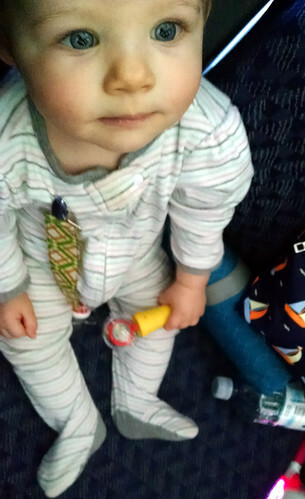 The airline home from Mexico was totally confused and didn’t want to allow the little boy on the plane (not sure why they picked the little boy to hassle rather than the grown man). It was a middle initial that saved us.